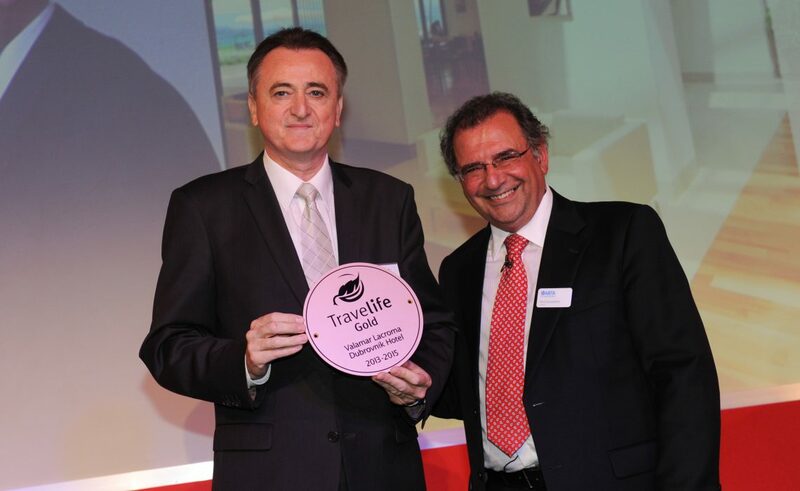 Valamar Lacroma Dubrovnik Hotel is the recipient of a Travelife Gold Award for sustainability. The four star hotel in Babin Kuk, just outside of Dubrovnik, is only the second hotel in Croatia to receive such recognition. Travelife now works in partnership with the Croatian Association of Travel Agencies (UHPA) to educate hoteliers and tour operators in sustainable business operations, something which is crucial for development in Croatian tourism. The hotel was presented with the award as part of the closing ceremony of the Association of British Travel Agents (ABTA) annual congress which was held at Valamar Lacroma and the Dubrovnik Palace Hotel. We are extremely proud that we have been awarded the Travelife Gold Award because sustainability is still at the core of business at Valamar Lacroma Dubrovnik and we will maintain that in the future management. It is our honour to receive this certificate which confirms our achievements in environmental protection, involvement in the local community and our relationship with employees. ” Peter Fuchs, CEO Valamar hotels and resorts told press.